13 reviews for "Green Gold – Bubba Kush – Indica Shatter"
This is a perfect shatter from Green Gold with a higher CBD % perfect for relaxation and pain relief. I love this shatter from Green Gold !! Between treating my chronic pain and insomnia, it is perfect to use before bed. It is smooth on the throat and the flavour is pleasant. Unlike some other shatter, its doesn’t have a dominant butane after taste. I will definitely be ordering more especially at such a competitive price. Thank you Gold Buds for filling my order and shipping it so quickly !! Very smooth and tasty hits. Nice lift afterwords but I wouldn’t go too far from the couch with this one. I blasted a few dabs and went to work, a few hours later I was looking for somewhere to take a nap. Smooth and tasty with great Indica effects. The CBD on the product page says 2.97% but the package says only 0.85%. I was disappointed because I was hoping for the almost 3% CBD amount. The THC matches the product page at 77.73% which is very nice. 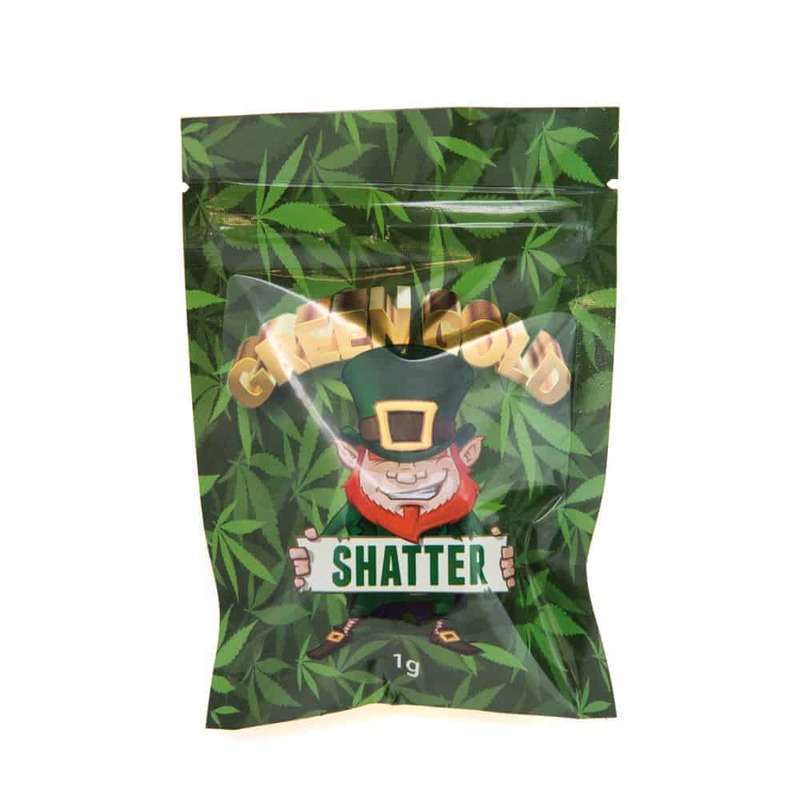 Great sevice, fast delivery and great selection and reasonable prices for some pretty decent shatter. I tried this bubba kush shatter in my vape pen and it was very nice would buy again! Great shatter really helps with stress and depression and the taste is there too!! I thought the Quality of the shatter was good I just wish they would put it in a paper flap instead of plastic thing. Not because you lose any because you don’t lose enough to worry about sticking to the sides of the plastic container I just think it’s a little overkill for a gram of shatter. I smoke a lot of shatter so it wood add to a lot of plastic going into landfills. Great Bubba Kush taste and effects. I really enjoyed it. THE GOLDBUDS SHATTER IS THE BEST VALUE FOR YOUR MONEY… I’VE TRIED OTHER COMPANIES AND I KEEP COMING BACK TO GOLDBUDS… BEST VALUE, BEST CUSTOMER SERVICE , I LIKE THE GREEN GOLD!